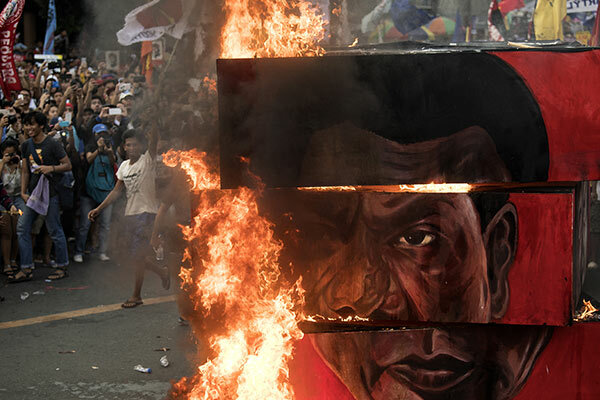 MANILA, Philippines — Thousands of protesters marked the anniversary of the 1972 martial law declaration by late dictator Ferdinand Marcos with an outcry against what they say is the current president's authoritarian tendencies and his brutal crackdown on illegal drugs. 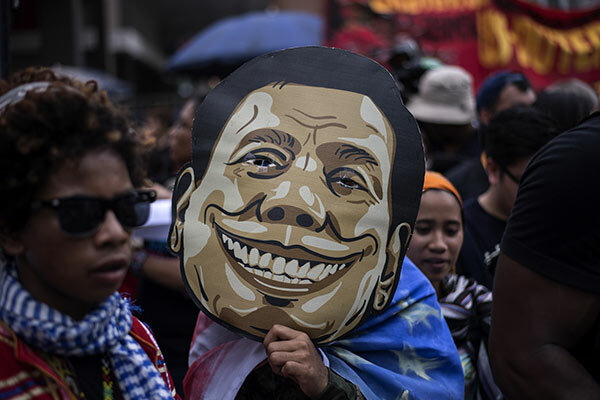 President Rodrigo Duterte has warned he would use force or expand nationwide his martial law declaration in the country's south if anti-government protesters threaten public order. 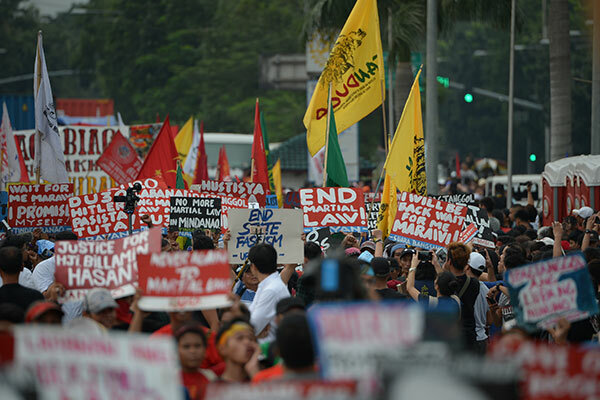 He placed Mindanao under martial law in May to deal with a bloody siege by pro-Islamic State group militants in Marawi City that has dragged on for nearly four months. 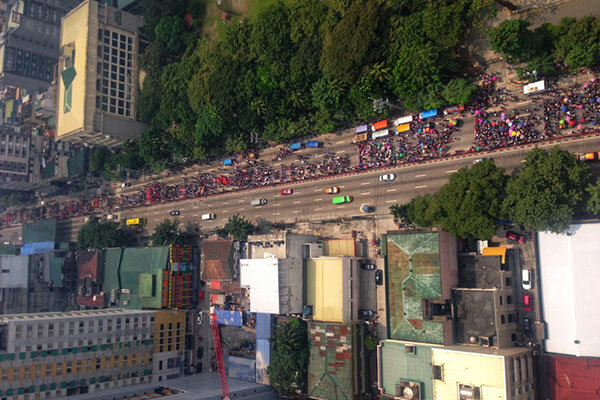 Hundreds of riot police were deployed to secure the marches and rallies, which are expected to be among the largest against Duterte since he took office last year. 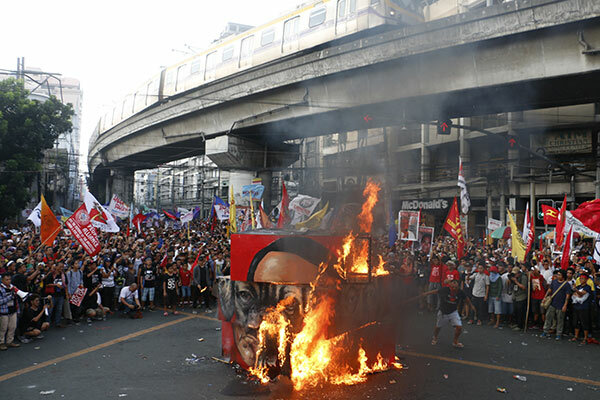 Pro-Duterte followers also staged rallies in Manila and police said they would guard against possible confrontations. 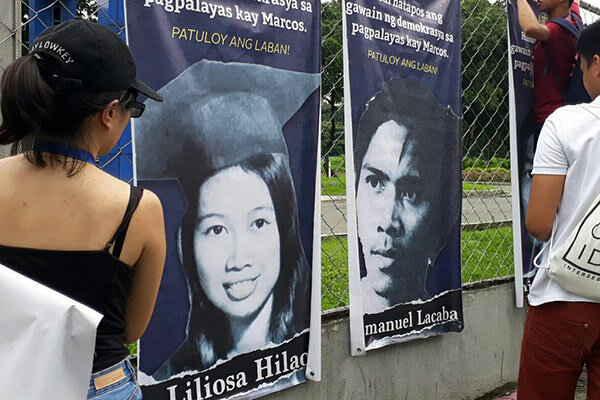 Marcos' martial law era, which ended in 1981, had been marked by massive human rights violations and muzzling of civil liberties. 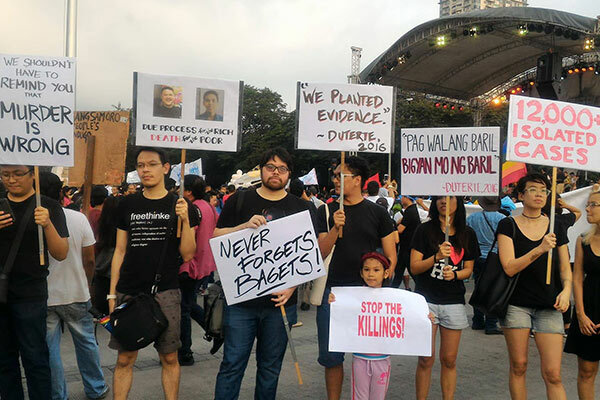 According to left-wing group Karapatan, "Duterte and his security cluster have utilized narratives and tactics straight out of Marcos's playbook of repression, repeating and justifying rights violations, with increasing frequency and intensity. 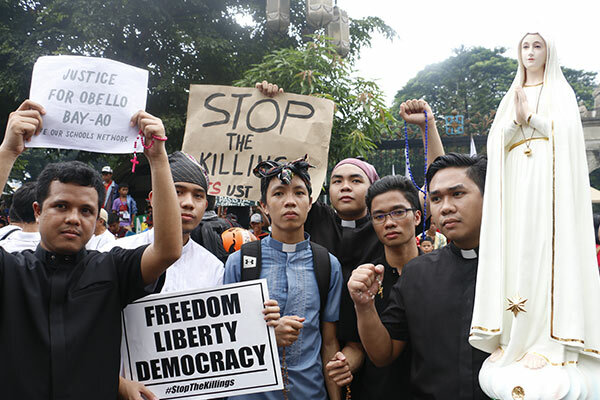 Known for bombastic remarks, Duterte has said activists can stage street protests without government permits, and that even communist guerrillas can join as long as they don't bring their guns. 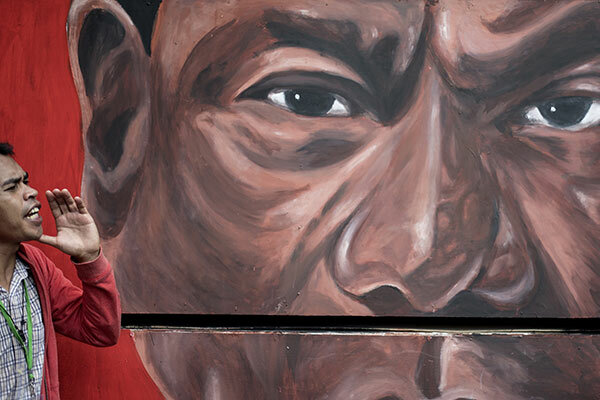 He said he was also ready to turn in his resignation to Congress anytime if the military agrees. 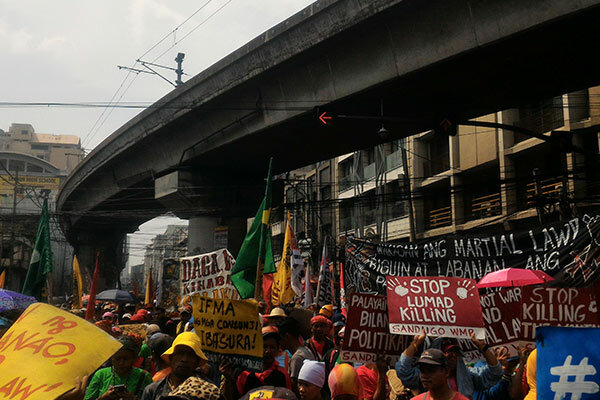 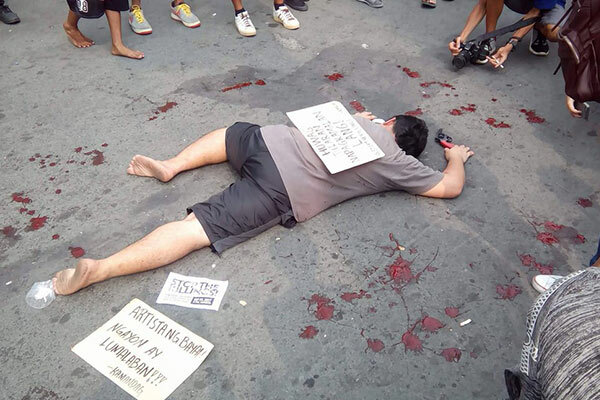 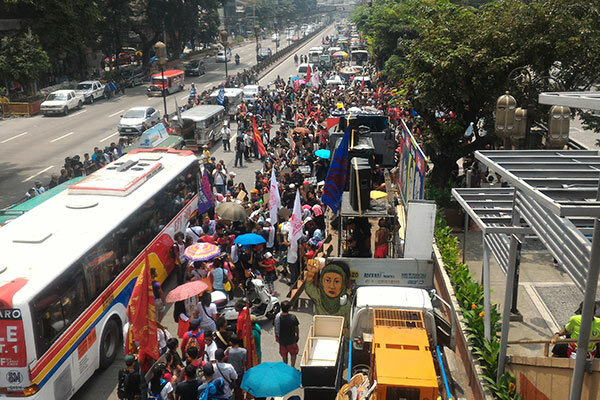 Waving red flags and carrying placards that read "Stop the Killings," left-wing groups started to mass up in three Manila areas, including at the foot of a bridge leading to the presidential palace. 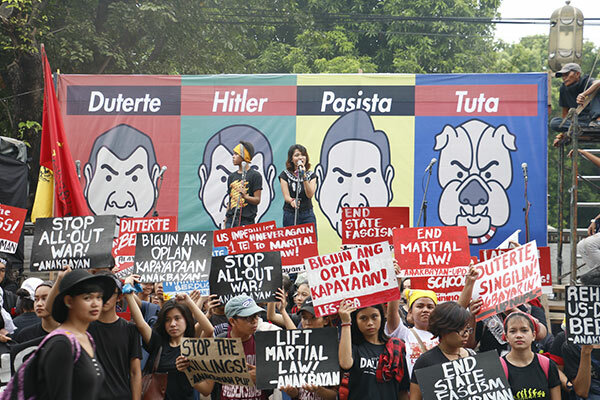 A few thousand marched at a university area, yelling "Never again, never again to martial law." 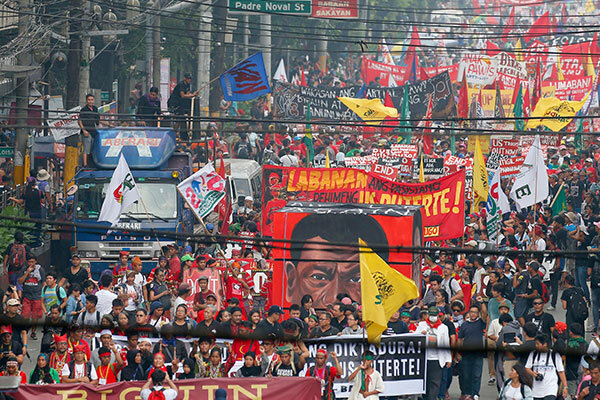 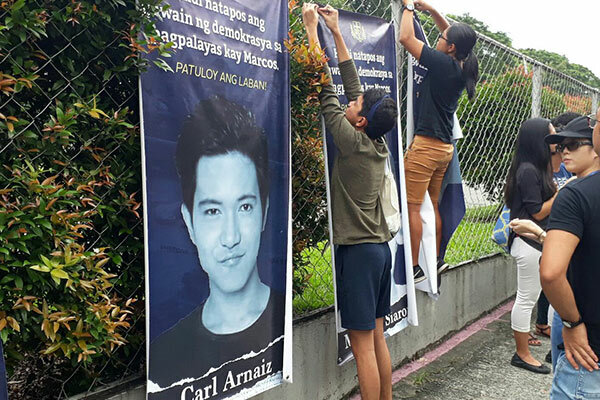 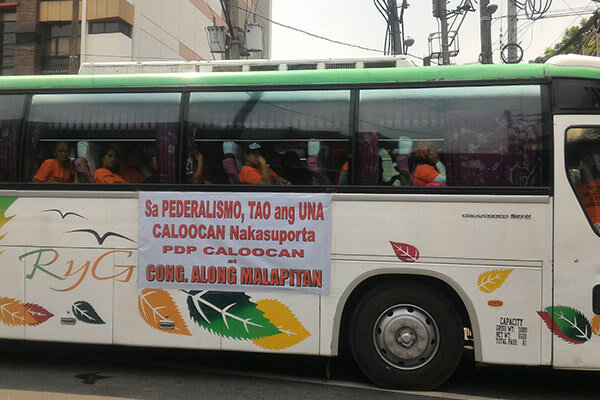 They planned to gather later Friday at Luneta for the main protest. 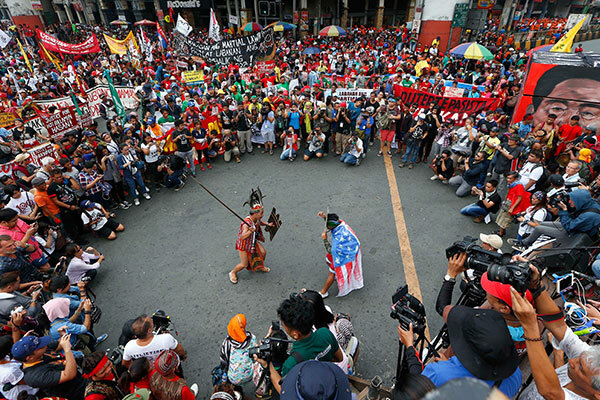 Rallies at the nearby US Embassy have been prohibited by police.